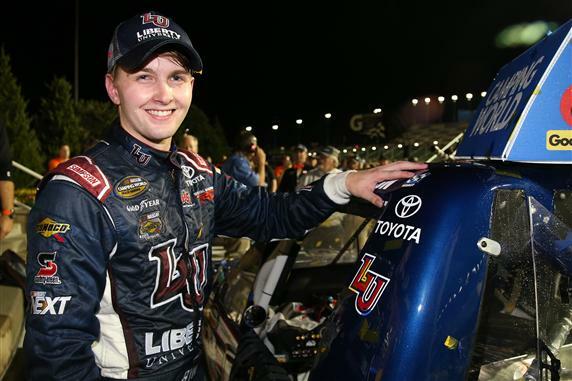 NASCAR Camping World Truck Series points leader William Byron has signed a multi-year driver agreement with Hendrick Motorsports, the team announced Thursday. Byron, who this season set a rookie record with five Camping World Truck Series victories, will race full-time in the NASCAR XFINITY Series for Hendrick Motorsports affiliate JR Motorsports beginning in 2017. Byron, 18, won the NASCAR K&N Pro Series East championship in 2015, posting four wins, three poles, five top-fives and 11 top 10s. Through 13 races of this Sunoco Rookie of the Year truck series campaign, he has victories at Kansas, Texas, Iowa, Kentucky and Pocono while driving for Kyle Busch Motorsports. Byron has past ties with JR Motorsports — owned by Dale Earnhardt Jr., Kelley Earnhardt Miller and Hendrick — after winning two races while competing for JRM’s late model program in 2014 and 2015. It marked Byron’s first experience racing full-sized stock cars. Byron is the latest alum of the NASCAR Next program to rapidly climb the NASCAR ladder system. The NASCAR Next program spotlights future stars of the sport, with NASCAR Sprint Cup Series regulars Kyle Larson, Chase Elliott and Ryan Blaney among its graduates.